Description The monsters are attacking!!! Quick, Defend your Kingdom! 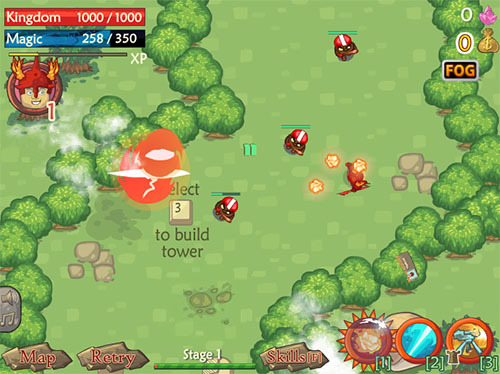 Use your skills to kill the monsters and prevent their attack. The more you kill, the more skills you learn to help you kill harder, meaner monsters later. Use your 3 attack skills wisely to aid you in your battle. You will also be rewarded by killing the evil invaders, make sure you collect the money to buy extra skills to help you.